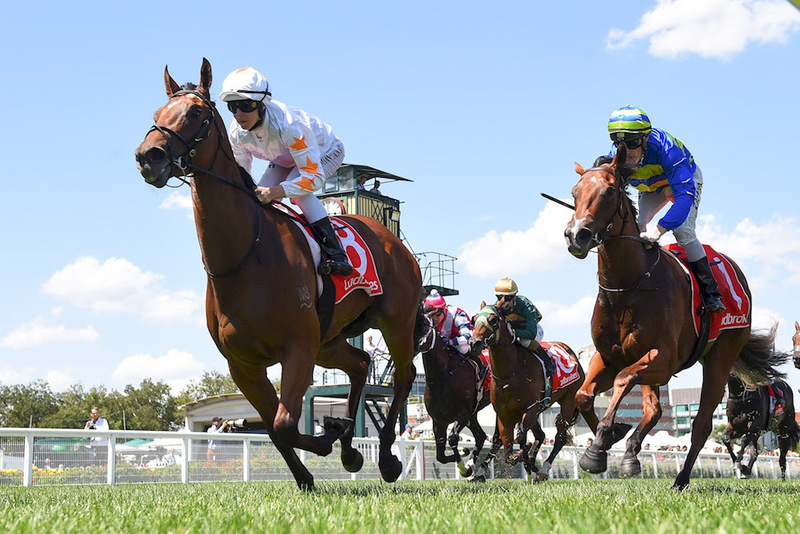 The Inglis Easter Yearling Sale is, and has been for a long time, one of the highlights of the international racing and breeding calendar, with the quality of its graduates calling for other sales to catch them in the marketplace, writes Renée Geelen. The sheer volume of Gr1 winners sold through this sale is one of the key reasons buyers from around the globe keep returning for more. Horses such as The Autumn Sun, Merchant Navy, Estijaab, Russian Revolution, Mossfun, Pinot and Flying Artie all stand out as leading Inglis Easter graduates in recent times. Following on from last season where Inglis was the only sales company to have sold a Gr1 2YO winner (four of them), already from 2018's Inglis Easter Sale, there are seven stakes-winning 2YOs led by dual Gr3 winner Catch Me ($625,000), Gr3 winner I Am Immortal ($200,000), Gr3 winner Loving Gaby ($500,000), Gr3 winner Vinicunca ($600,000), and Listed winners Accession ($300,000), Espaaniyah ($750,000) and Lady Naturaliste ($150,000). The current crop of 3YOs from the 2017 Inglis Easter Sale include four Gr1 winners – headlined by four-time Gr1 winner The Autumn Sun ($700,000), Golden Slipper winner Estijaab ($1.7million), VRC Oaks winner Aristia ($80,000), and Kenilworth Cape Derby winner Atyaab ($260,000). Keep an eye out on the other ten stakes winning 3YOs catalogued in 2017, they included several improving types who look likely to further improve the record of this top tier sale. Unsurprisingly, with so many Gr1 winners coming out of this catalogue, the world’s biggest buyers will once again flood to Australian shores. And all with a wide price range; from the $1.7million for both Estijaab and South African Gr1 winner Mustaaqeem to the mid-level prices for the like of Catchy ($220,000), Merchant Navy ($350,000), Pinot ($200,000), Russian Revolution ($320,000) down to the lower end prices such as Egg Tart ($40,000), Flying Artie ($50,000), Land of Plenty ($80,000) and Aristia ($80,000) – there is a Gr1 winner for most budgets at the Inglis Easter Yearling Sale. The Inglis Easter Yearling Sale will be held on 9 and 10 April 2019 at Inglis' upmarket Riverside Stables at Warwick Farm.